Hard-packed or deep snow takes muscle to move. 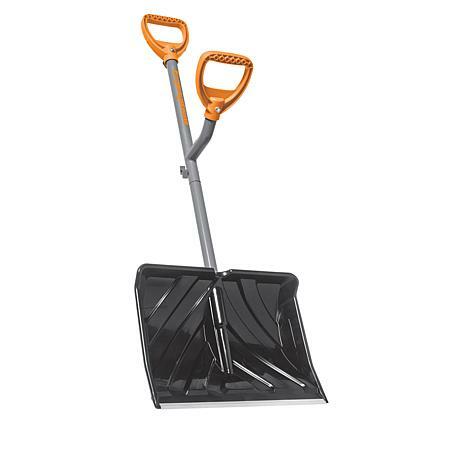 But you'll cut the job down to size with this snow shovel that has an extra handle for greater leverage. 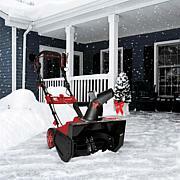 The wide 18' blade also lets you shovel more with less effort so you can work longer. Make it easy on yourself. Let it snow, let it snow, let it snow. 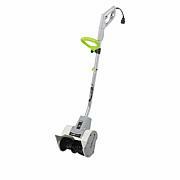 I purchased this product again because I had purchased two a few weeks ago for our church. Pastor used it a couple weeks ago when we got about 4 inches of snow and was pleased how it eased his back when shoveling the snow. He asked me to purchase one for him to use at his home. 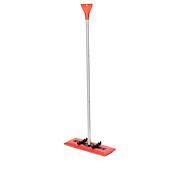 I love this shovel, it allows me to pickup just the right amount and toss it. It glides thru the snow. The double handle is perfect. The best thing is that you are not straining your back.